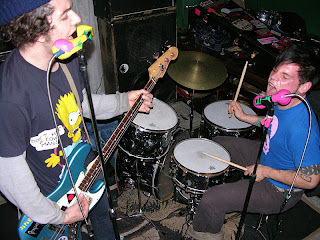 This is a pretty interesting release from this fuzz-laden lo-fi-punk duo. In between the sonic freak outs there are various spoken word segments dealing with Africa and Necromancy....pretty creepy stuff. Definitely worth checking out if you're into raw pop-punk.